An overview written by Clinton Veale (University of KwaZulu-Natal). The Pathogen Box is a 400 strong collection of drug like compounds, selected for their potential against several of the world’s most important neglected tropical diseases. This review is divided into eight sections in which each disease category of the Pathogen Box is discussed independently: Kinetoplastids (trypanosomiasis, leishmaniasis), cryptosporidiosis and toxoplasmosis, filariasis and wolbachia, schistosomiasis, dengue virus and trichuriasis, in addition to malaria and tuberculosis. The Pathogen Box represent a considerable means of stimulating open source drug discovery against diseases which threaten the world’s most vulnerable communities. 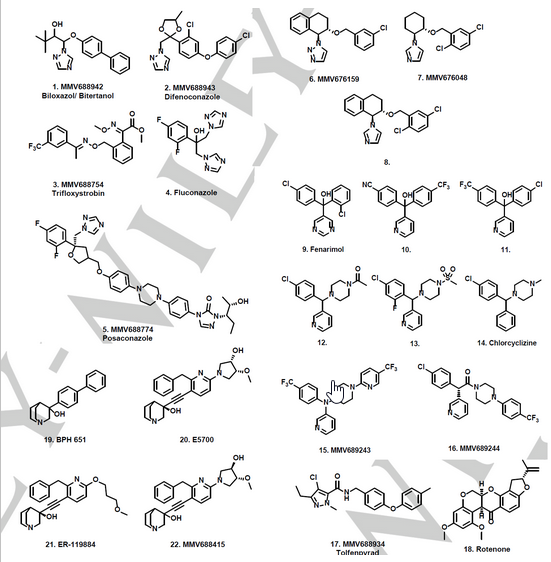 Compounds in this library, have been selected from drug discovery campaigns which have utilized numerous techniques of identifying hit compounds including, phenotypic screening of both large and targeted libraries, as well as target based approaches.